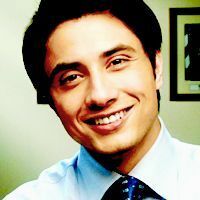 Ali Zafar, the Pakistani singer turned actor won the hearts of the audience with his act in Tere Bin Laden. Check out the most updated and latest information about Ali Zafar's on the Internet.We have 34 videos of Ali Zafar including interviews, events, or public appearances.Ali Zafar has over 321 Fans registered on India-Forums.com. We have 224 Bollywood News articles related to Ali Zafar.Do share your criticism, comments and feedback for the Actor on Ali Zafar's comments page. We have over 29 Photos of Ali Zafar to view and download including Ali Zafar's Wallpapers. Ali Zafar.. love u loads.. keep rocking !!! loved the promo of "TS"
can't wait to see chasme baddor...i am sure its awesome since ur acting in it!!!!!!!!!!!!!!!!!!!!!!!!!!!!!! u r best actor, singer and painter and on. love u. all d best wid ur career. When is new movie releasing??? You're one of my MOST fav bolly actors!